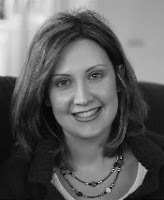 I am happy to welcome today at Ex Libris Jennifer Shirk, who stopped by to answer my numerous questions about her latest release, Kissing Kendall, which was recently published by Entangled Publishing's Bliss line. So please give a warm welcome to Jennifer and read on, by commenting you could even win a copy of Kissing Kendall! 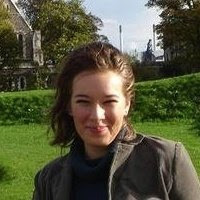 Stella: Hi Jennifer, welcome to Ex Libris! Can you tell us a bit about yourself? Stella: Kissing Kendall, your latest novel and the first one published by Entangled Publishing was recently released in their Bliss line, congratulations! Could you tell readers what they can expect of this story? Jennifer: Thank you! I was excited to tell Brad and Kendall’s story! I think readers can expect a heartwarming story filled with some humorous moments for good measure. And there’s a cute puppy. Stella: Would you like to introduce Brad and Kendall, the hero and heroine of Kissing Kendall to us? Stella: And if Kissing Kendall was made into a movie, who would be your dream cast? Stella: Any good, titillating scene or excerpt you’d like to share? Jennifer: You bet!! Here’s a short excerpt! “Oh, stop,” she said with a halfhearted laugh, lightly batting away his hand. “It’s nothing you said. And I am happy.” Mostly. At least she was happier than she’d been a few months ago. Brad narrowed his eyes. “Hey, you’re not being silly.” Brad stepped even closer. His aftershave tickled her nose, but the fresh scent was a welcome change to her senses. All she wanted to do was lean in farther and just inhale. She hoped he didn’t notice her swaying into him, but he smelled a thousand times better than cupcakes and wet paint. Her shoulders relaxed and she dropped her chin to his chest with a sigh of pleasure. Somehow Brad instinctively knew she needed this—a good old-fashioned hug—more than she knew she needed it herself. She wound her arms around his waist and sank deeper into his chest. An aching need to be held by him and have all her worries disappear squeezed through her. She felt safe, almost believing his words that he would always be around and she’d never be alone. It was nice to pretend for a few minutes, anyway. Brad shifted, gathering her even closer. He brushed a gentle kiss on the side of her forehead and a shudder passed through her. He felt so nice. This felt so nice. Brad inclined his head a few more inches and his breath softly fanned her face. Without warning, her senses began to spin from the heat of his body and the scent of his skin. That’s when she knew she was in trouble. Brad is only trying to comfort you, she kept telling herself. Until she looked up into his eyes and saw that he felt what was passing between them as well. His blue eyes were filled with heat. Desire. She swallowed hard. Stella: Kissing Kendall features one of my favourite tropes: the "falling for the best friend's brother" trope :-D Why did you choose to write your story around this one, what do you think is its appeal? Do you have any other favourite tropes? Jennifer: Well, this trope kind of wrote itself. :-) I had written a book called Georgie On His Mind and had Brad’s unrequited love for Kendall as a secondary storline for his sister Georgie to learn about love. Enough people asked me for Brad and Kendall’s story to have a happy ending that Kissing Kendall eventually came to be. Jennifer: This book took me THE longest to write for some reason! Almost eight months! It was hard really understanding how a young widow would feel jumping into another relationship. Stella: Kissing Kendall was released in Entangled Publishing's sweet, "tame" romance line: the Bliss imprint. Did you have to tone down the steaminess or was the story set to be sweet without any hot under the collar scenes? Stella: What would be the Twitter-style elevator pitch of Kissing Kendall (i.e. in 140 characters or less)? A young widow who doesn’t want to get involved with another man with a dangerous job, finds herself drawn to her best friend---a police officer. Jennifer: I would love to write another romance in Maritime City so that is definitely in the future. But right now I’m working on a new romance tentatively titled Falling for the Write Man set in Napa, California. 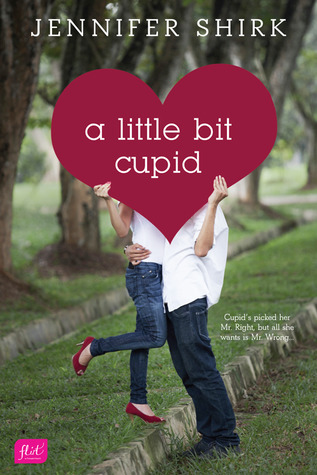 I also have a fun Valentine’s Day novella coming out this month called A Little Bit Cupid. It’s a novella in which a loner must find true love before midnight on Valentine’s Day or risk having humanity lose love forever, and with the help of Cupid’s son himself, she seeks out Mr. Wrong while Mr. Right is right under her nose. Stella: In your novel Kendall is about to open her own bakery. Being an enthusiastic hobby cook/baker myself I'm looking very much forward to seeing a heroine whose passion is baking :-D Do you like to cook/bake yourself? Stella: Got any favourite recipe for us or a funny/weird/embarassing cooking story to share with us? Jennifer: This is embarrassing but once when I was in college (when I happened to be studying for the GREs and Pharmacy Boards at the same time) I had difficulty breathing and I made my boyfriend (now husband) take me to the hospital. They did all kinds of tests but eventually figured out that I had stressed-induced asthma. The doctor literally told me to carry a brown paper bag around with me (so I could breathe into it). :-) See? I AM a nerd. I hope you get to check out KISSING KENDALL. And be on the lookout for my Valentine’s Day novella, A LITTLE BIT CUPID from Entangled Publishing too! And feel free to join us Bliss authors on Facebook! We chat, post contests, and the editors stop by there as well! Did you know that stress-induced asthma even existed? Care to share a little secret trivia about yourself ? Entangled Publishing has generously offered an ebook copy of Kissing Kendall to a lucky commenter! To be entered just leave a comment answering Jennifer's question: Did you know that stress-induced asthma even existed? - Care to share a little secret trivia about yourself ? Giveaway is open worldwide and ends on 25 January 2013!